Scrapbook Kits With A Difference, and the Design Team, would like to welcome you to our first ever Recipe Layout Blog Hop. We'd like to share this special event with you, and to celebrate, we are offering three kits from Scrapbook Kits With A Difference, for 3 lucky people. 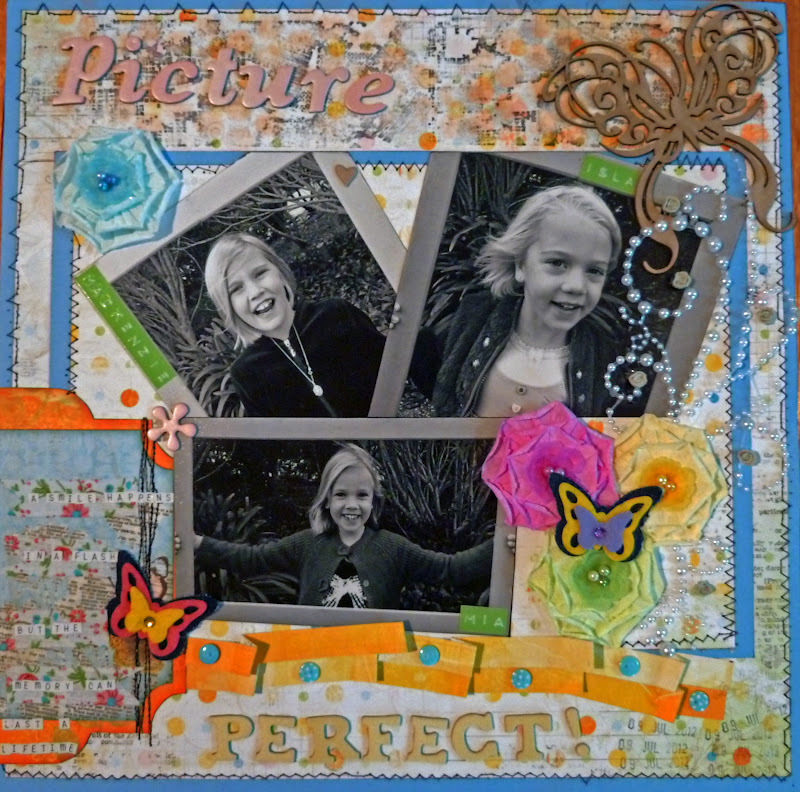 The blog hop begins at the Scrapbook Kits with A Difference (SKWAD) blog http://scrapwithv.blogspot.com.au/. On the SKWAD blog you will find a complete list of all the designers participating in the blog hop, in case there is a glitch along the way. If you would like to play with us, just follow along the blog path. Each SKWAD designer is linking to the next designer, and that designer is linking to the next, and so on. Be prepared to find lots of inspiration along the way. Our 3 lucky winners will be randomly chosen after the hop is over. Woot! Woot! 2. Like us on our Facebook Page (link can be found on the top right side of the blog). 4. Leave a comment on each designer's blog, and on the SKWAD blog too. 5. If you create, and share a layout, using our Blog Hop Recipe, you will receive 5 extra tickets in the draw. Please link your layout to the Recipe Blog Hop post. Official Blog Hop Recipe. Ingredient: 3 photos, 1 cardstock, 2 patterned papers, a wet medium (eg. paint, mist spray, gesso), a mask, raw chipboard, 5 buttons (or brads), 3 rows of text, twine (or string), and 2 butterflies. Flowers, ribbons, and bling are all optional. Flowers, ribbons, and bling are all optional - and you cant have a girls layout with flowers and bling. I used prima flowers and bling. And I created the title out of American Craft Thickers, journalling using a DYMO labeller and small alpha stickers. Thank you SO MUCH for joining us. I hope you have been inspired to go have fun and create. Don't forget to drop by on Tuesday 24th to find out who the lucky winners are!!! Terrific layout! Love the bright colors, fab flowers and gorgeous chippie! Great example for the recipe! Love the mix of embellies! TFS! Great LO and I like how you have bursts of colour popping out everywhere. Love the bright colours, a fun layout.